"When I first came to Borer Family Chiropractic two months ago I could barely function due to my severe neck pain and migraine headaches. It was so bad I could barely make it through each day. I tried other doctors, exercises and medications with no improvement. Now after only two months of care at Borer Family Chiropractic I am PAIN FREE and MIGRAINE FREE!!! My NECK PAIN is GONE!!! I am so grateful for Dr. Rob, he has changed my life. I am glad to get up each day pain free." "I was all kinked up and nowhere to go until being referred to Dr. 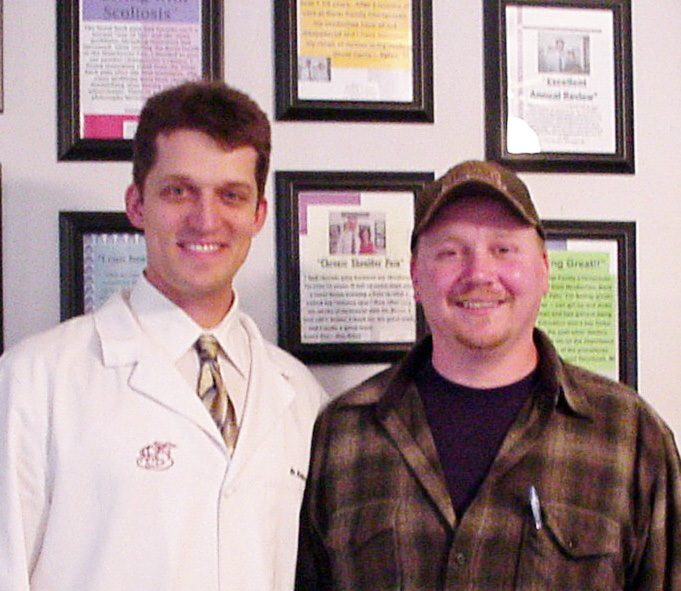 Rob Borer at Borer Family Chiropractic. I soon discovered after my first visit the ramifications of "the atlas subluxation." Not only was the subluxation the culprit of my neck pain and migraines, it also played a leading role in my body imbalance and lower back pain. Before Dr. Rob, my migraines and neck pain were so frequent and incapacitating that I sought help from an array of specialists - orthopedists, osteopaths, naturopaths, a yoga guru and lastly a neurologist - to no avail. I was even told along the way that my pain and body imbalance were the result of "getting older" or "having been a competitive rower." This was followed-up by, "there are effective medications you can try." I've been under Dr. Rob's care for 8 weeks. I'M MIGRAINE FREE and well on my way to being kink-free. My body is still adjusting each week to it's new alignment, one that brings with it a renewed sense of hope for pain-free living and active wellness. I've suffered with migraines that can last up to 4 days, every month since I was 6. Sometimes it gets so bad I have to go to the ER. Since starting care at Borer Family Chiropractic I have not had a migraine and my body is feeling better as well. This was one of the best decisions I have made in my life! "I began having migraines 3 years ago. After trying different options, including numerous medications, I found no relief, and the side effects were more than I wanted to deal with. After starting care at Borer Family Chiropractic, I rarely have a headache and I'm off all of my medications! I also love the fact that I don't have to have my neck or back "cracked." 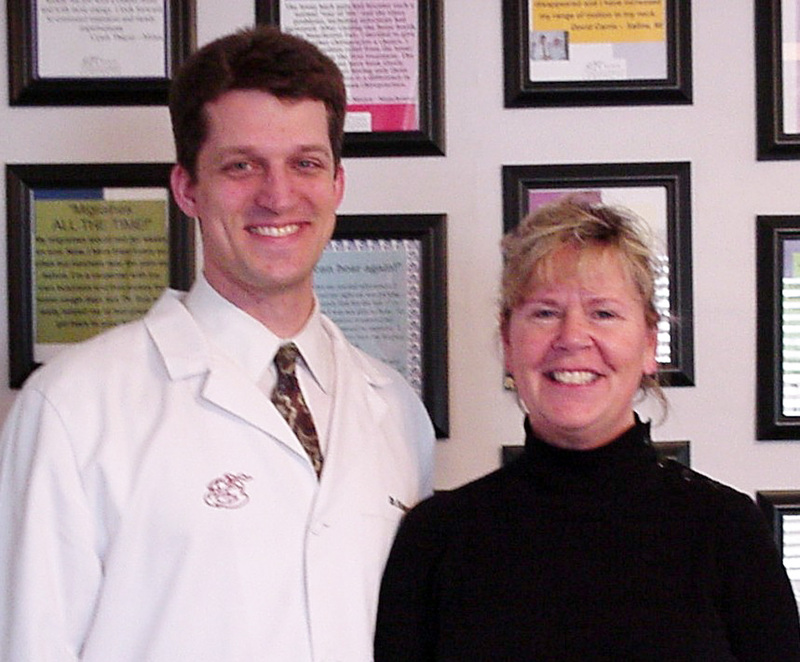 "
I started care at Borer Family Chiropractic because of a stiff neck that had been bothering me for over a month and the migraines that invaded my life three or four times a week. After only two months of care with Dr. Borer, my stiff neck is gone as well as the migraines. My lower back is no longer bothering me like it used to, and I'm sleeping much better I feel better all around! For the last 15 years, I have suffered with migraines, neck pain and really bad sinus infections. Nothing I tried seemed to help; multiple doctors, various medications, even another chiropractor, who did not specialize in the upper cervical spine. Then about four weeks ago, I found Dr. Rob - and he has been awesome! Most of my issues have improved significantly, or even gone away altogether! I'm really happy I started coming to Borer Family Chiropractic. Thank you for everything you've done and continue to do! I was looking for a more natural way to treat the severe migraines I had for six years. After three months of treatment with Dr. Rob, my migraines are rare. As for side effects, the only ones I have are positive! For five years I suffered from debilitating migraines that stayed for days. I was up to four different pills per day and still the pain persisted. I decided to try something different and could tell from my first visit with Dr. Borer that things were about to change. After just six weeks I have yet to suffer another headache. I am now free to lead a life without pain. I suffered with migraine headaches, sometimes lasting up to 5 days for the past 25 years. I tried over a dozen M.D. 's and consumed medication on a daily basis with no improvement. After just the 3rd visit I no longer have migraines. I'm able to plan my days again without medicine. Thank you Dr. Rob. I have lived with weekly migraine headaches for the past 6 years. I couldn't eat certain foods or else I might get one. I consumed drugs on a daily basis. Now after 6 weeks of care at Borer Family Chiropractic, my migraines are gone! I can't say enough about Dr. Rob and his care for his patients, Thank you.